I couldn’t help myself to not promote this gorgeous new make-up “candy” from Neve cosmetics. 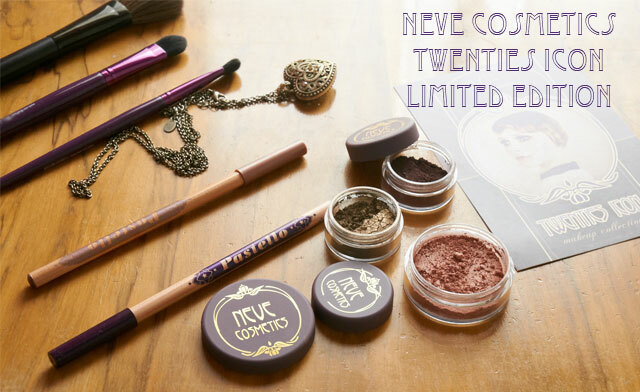 It’s a new make-up collection that has been launched in these days and I went mad for all these colors inspired by the 1920’s make-up and art nouveau organic ornamental style. This nice Italian brand has really fascinated me because of their vast selection of colors and natural products, but also because they offer a huge selection of palettes for make-up artists so that we can choose greener options. I’ve tried Neve pencils called Pastello for the first time and I love them! Both new shades are beautiful and their soft texture glides easily but at the same time is not so soft that the pencil would break (like sometimes happens when there are too much oils in it). These new shades are called Vanità/Purple and Cincillà/Beige. The purple one is personally my favorite and it goes great on green eyes. Moreover, it is a deep violet with shimmer particles in it. It is such a nice color that can make a statement even if you wear just the pencil on its own! Green makeup tip On green eyes wear purple pencil on top lashline and the other beige shade on the lower lashline. However the beige pencil is nice to wear alone too for a natural day look. I want definitely try more Pastello’s! 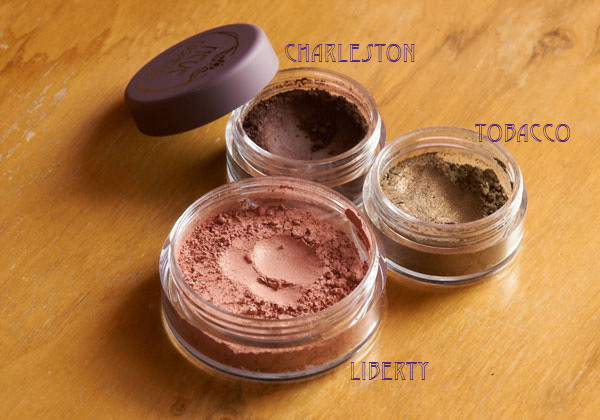 I have tried 2 shades of new eyeshadows: Tobacco and Charleston, although in the collection there are additional 2 shades, in total 4 new mineral eyeshadows. Tobacco is a an olive green with lots of opalescent shimmer. Charleston is a cool matte brown with a smoky effect and purple undertone. Both eyeshadows are vegan and their list of ingredients consists of minerals like mica, titanium dioxide and iron oxides. Both eyeshadows are highly pigmented as you can see on the picture on my hand, and note that I haven’t put underneath them any primer or cream. This blush is called Liberty and has a shimmery effect. It’s a special color that makes a fresh effect on the cheeks without being a heavy color, which gives it a modern touch. Its shade is a mix between salmon and pink with golden shimmer. The entire look is designed to emphasize the eyes like in the 20’s and to tone down other features like cheeks which have a flush of natural color and shimmer. 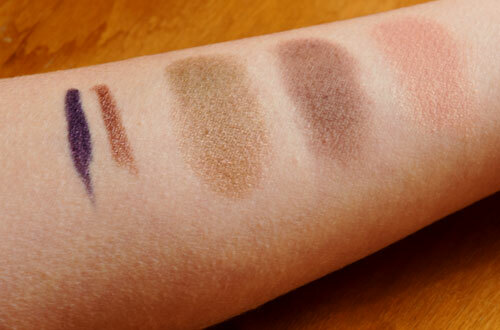 The blush also as the eyeshadow consists of a great list with ingredients: mica, titanium dioxide, iron and tin oxide. If needed, I’ll use the blush also on eyes or mix it in lip gloss. Hope you will enjoy this limited edition collection as I do! Hehe, thanks Mara! Yes, of course just remember me 🙂 Have a nice weekend! That purple eyeliner looks superb! Hi Evelin! Thanks for the comment! You have a nice blog!